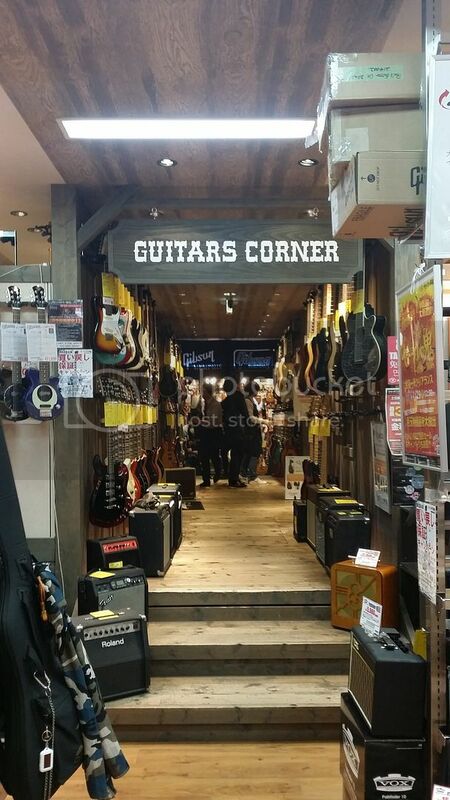 This is a semi-detailed documentation of my visit in Feb 2016.
of acquiring a guitar/bass or other musical instrument related items, Ochanomizu in Tokyo would be the place to visit. But what if you're not going to Tokyo? What if Osaka was your destination? Here's my semi-detailed guide to Osaka guitar hunting. If you find yourself in the Northern area of the city, you can check out the shops in the Umeda area (business district), there you will find the Umeda branches of Miki Gakki and Ishibashi and one other small mom & pop shop. unfortunately I didn't have enough time to visit Umeda so all I know is that there are the above mentioned stores. But if you're in the central or southern part of the city, you'll find 5 stores to visit. if you're in a rush and you're in Shinsaibashi shopping with your family/group, this would be the perfect place to visit. 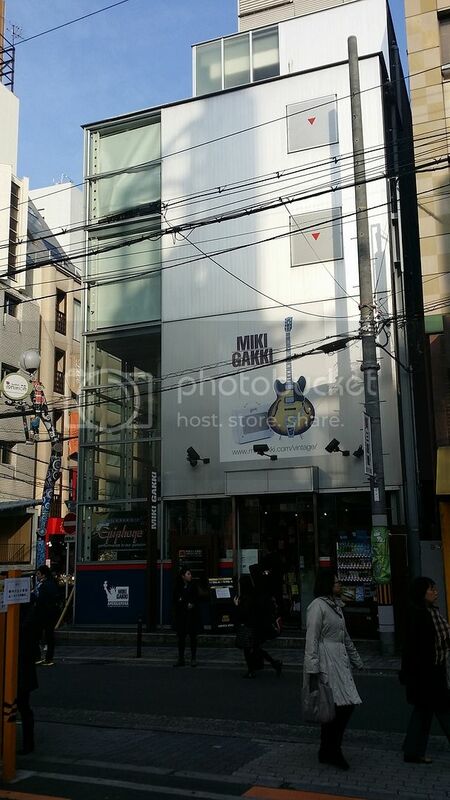 This one store along Shinsaibashi-suji is called Miki Gakki (Shinsaibashi branch). 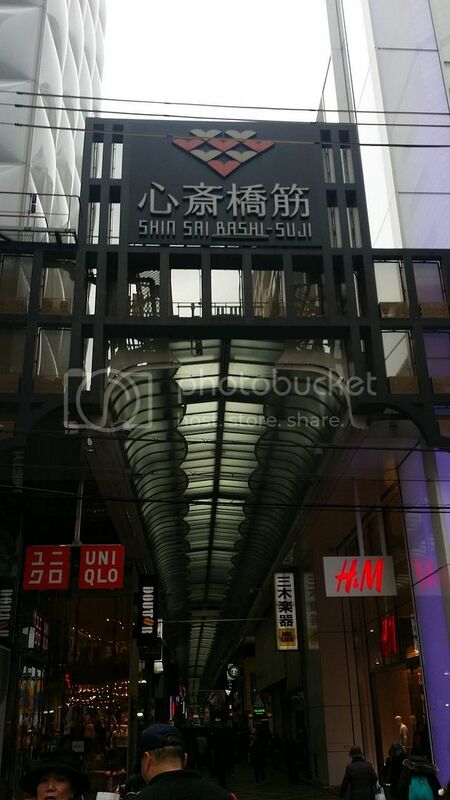 this place is fairly easy to spot, it's beside UNIQLO and H&M at the northern entry point of Shinsaibashi which is along Nagahori Dori ave.
strap brand called "Selfish". you can ask them to mix and match different colored leather straps to your liking. If you have a lot of time on your hands, you MUST visit the place called America-Mura (American Village). all within a stone's throw away from each other. 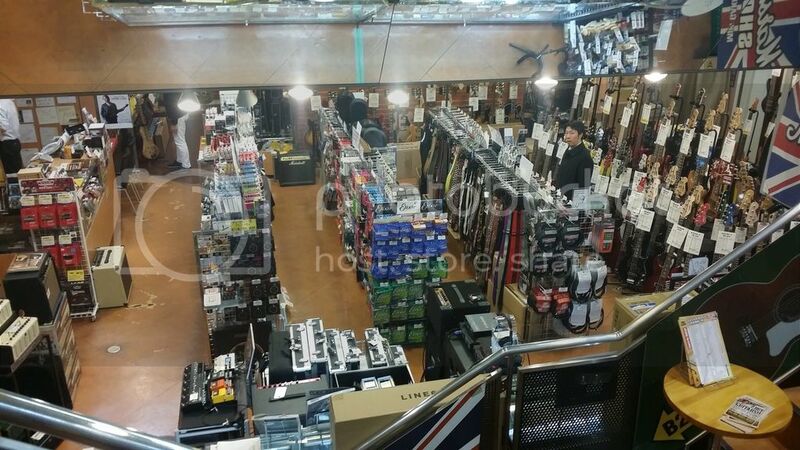 Epiphone, Martin, a few 2nd hand stuff and other popular global brands. 2ND FLOOR - Acoustic/Jazz guitars and this is where you can have your instrument appraised and sold. I noticed that they have more local stuff compared to Ishibashi which would be great if youre looking to get the not so known stuff. I saw a Two-Rock amp and boutique priced gear. I saw handful of Custom shop Gibsons and Fenders and local high end brands. I was fortunate enough to get a glimpse of a small clinic/seminar of some sort conducted by a known local luthier at the 2nd floor. I forgot the name of the guy but I took a pic of the activity at the 2ND floor. - probably the biggest instrument store in America-mura, this place has 4 floors full of awe-inspiring gear. and a whole lot more brands I can't remember. they also have a great amount of parts and accessories. One thing I really loved is that at every floor, they all have a certain aesthetic and they have pipe-in music that perfectly represents each floor. REMEMBER TO PRESENT YOUR PASSPORT TO GET TAX-FREE PRICING. Meron rin Ishibashi (and a couple of other music stores as well) sa Sannomiya station sa Kobe kung di nyo mahanap mga gamit sa Osaka. About 45 mins train ride from Osaka Shinsaibashi station. sa miki gakki but didn't have enough funds na to get it. sakit na ng mga paa ko nun tapus 6 degrees pa ang lamig. nakakalimutan ko lahat pag nasa guitar shops ako. hehe. sarap uli bumalik. 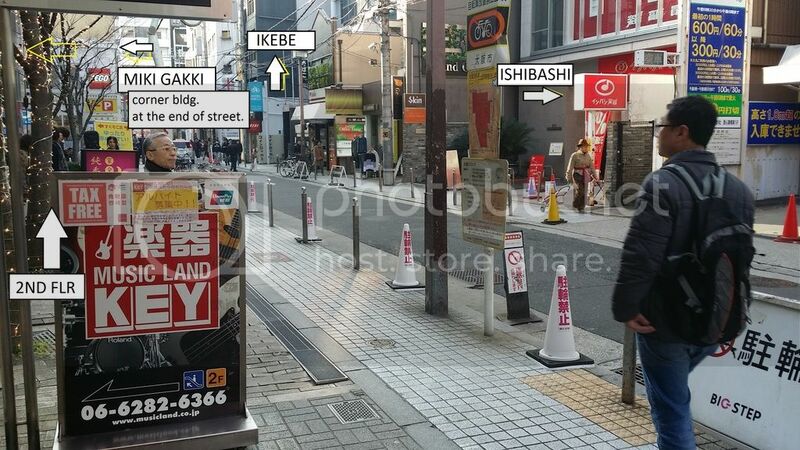 There is a smaller Ishibashi branch on the 6th floor of a mall near the main Osaka train station. There are also one or two small mom-and-pop style guitar stores in the same area which was the only place I noticed guitar bodies and necks being sold. Just to add to the topic, hindi uso ang "haggling", low balling or pakikipag tawaran sa Japan. Many Japanese sellers find haggling offensive and rude. Pero makakadiscount parin naman kung merong sale especially kung merong holiday na parating. There is a smaller Ishibashi branch on the 6th floor of a mall near the main Osaka train station. I think that was where my sister brought me a couple of years ago. Ang mamahal. Haha! Just curious. Madali na ba ngayong kumuha ang mga Pinoy ng visa papuntang Japan? Yes. They even gave me a multiple entry visa on my second application. Then again, it might have also been a perk of being in the academe. Yup near Umeda, that's my "suki" branch. The "mom-and-pop" store is actually expensive (across the street from the mall). there's also one on basement 2, right across an excellent "Village Vanguard" branch (which you have to visit if you like stupid knick-knacks, which I do). The parallel street (I forgot the name) also has several guitar stores, and even an ESP custom shop. Even the Yodobashi (big appliance mall) has a fair selection of instruments. OT: nahilo ako kakaikot sa Ochanomizu. Kulang ang oras pati budget. nakakasama ng loob. kahit 1 pirasong pick di ako nakascore. actually ok lang makipag tawaran. you can ask nicely and they may give you a few hundred (or thousand) yen discount. we learned this from the japanese themselves so it was common practice for us when we stayed there few years ago. di ko lang sure kung talagang nagbago na yung attitude ng mga japanese ngayon. Nice thread! Very useful. Thanks to the OP. I wish I had known about the Shinsaibashi stores when I went to Osaka last June. Went to that area just for my son's kitchen knives. 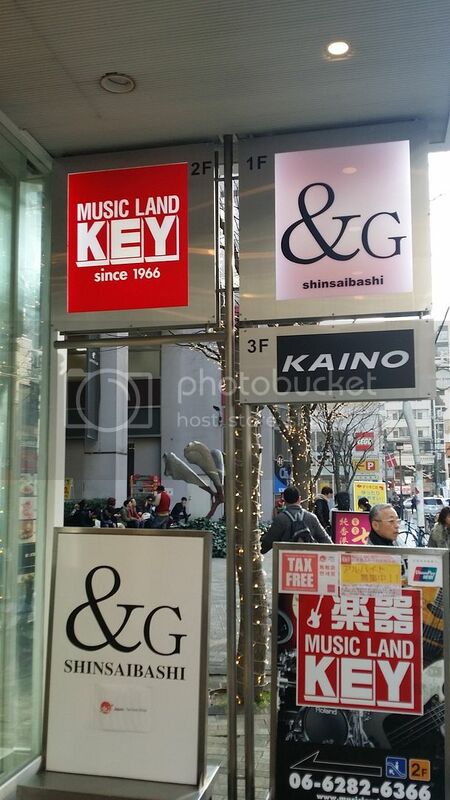 The only music store I got to visit was the Ishibashi at Umeda. Small store (half a floor) but lots of guitars. Ang hirap pumasok sa store ng walang pambili! Buti nalang I was only shopping for pedals. You're welcome. I hope this helps you on your next visit. OT: Have we met at Mike's shop in Paranaque once? I think Mike may have mentioned you or maybe we met? any info on a guitar store that primarily sells 2nd hand guitars/gear only? that would be awesome to visit. no idea where to find one, but Ishibashi does have a few 2nd hand guitars and I think also some pedals for sale. Sa mga Hard Off thrift shops. Maraming branches yun. Not primarily a music store per se, pero marami-rami ring used instruments. We probably have met. Pls. excuse me as I have a very poor memory... senior citizen prerogative hahaha! Very useful thread. Used this as a guide to get around Osaka. Miki Gakki has a wide selection. Cheaper guitars on the G/F, Fender, Ibanez, etc on the 2/F and Gibsons on the 3/F. 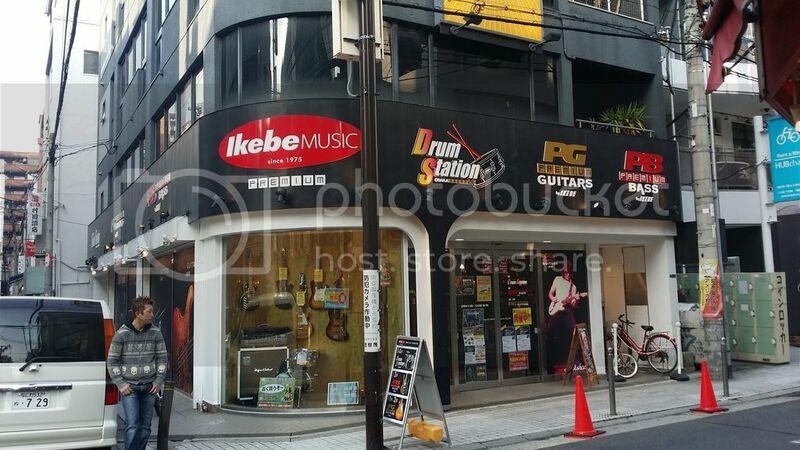 For pedals and accessories Ikebe has a better selection. very glad to hear this helped you out. I did notice that Miki Gakki shuffles around their displays and mix up stuff yearly if not, every few months at a time. Bad Behavior has blocked 80245 access attempts in the last 7 days.